High percent of male plants which means larger spears. 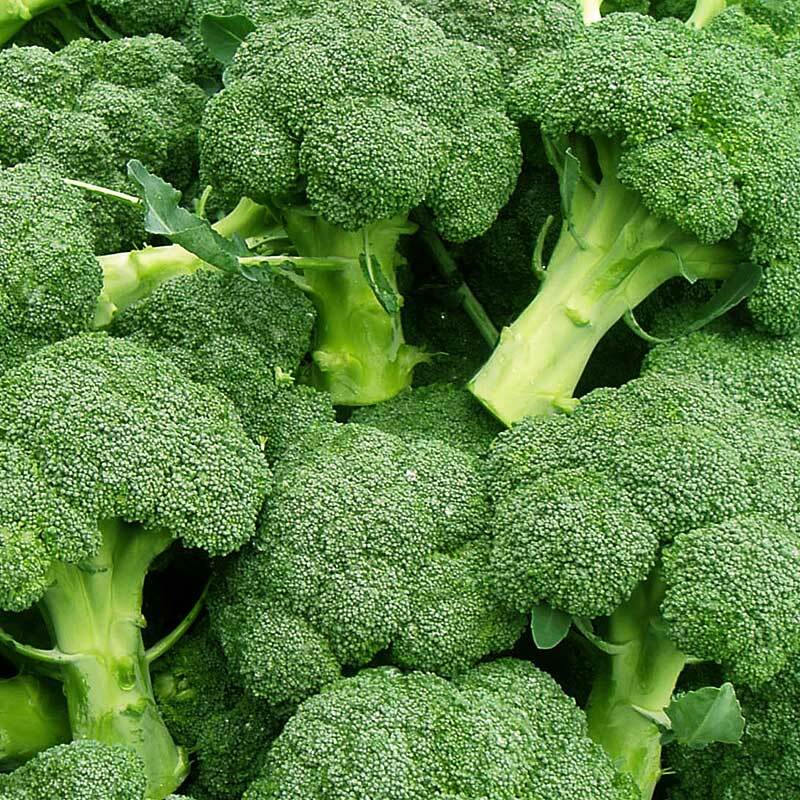 Strong, productive strain, producing long, thick spears in May and June. Good for freezing. Huge 10-12" heads. Short, bushy plants. Gets side shoots in the fall. Use summer or fall. Medium sized semi-domed dark green heads with small beads-good uniformity and holding ability during summer heat. Big, heavy heads. Lots of side shoots. 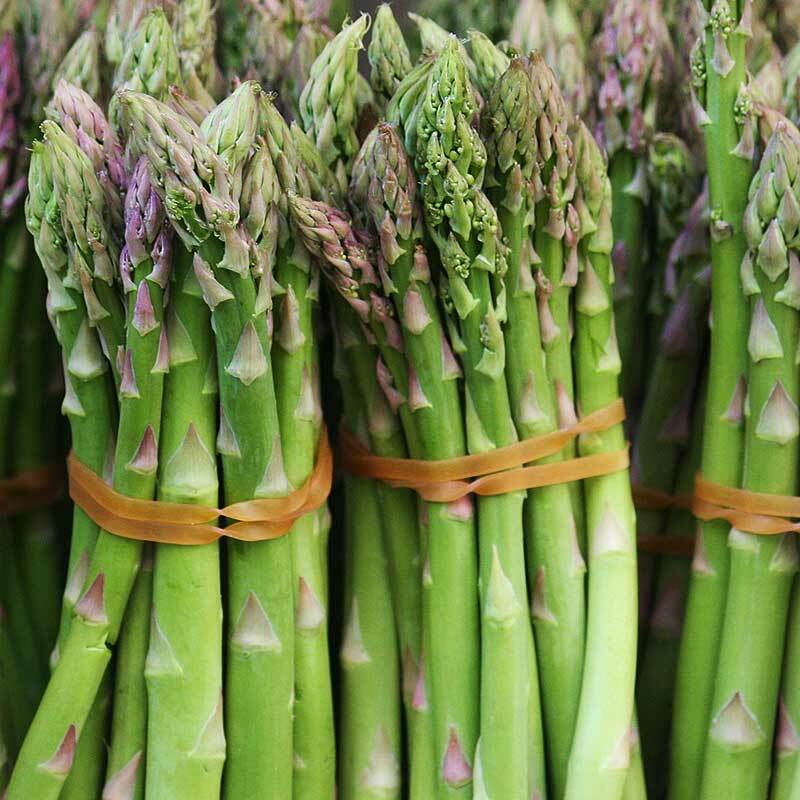 Single, textured heads with small, firm buds on thick, tender stems. 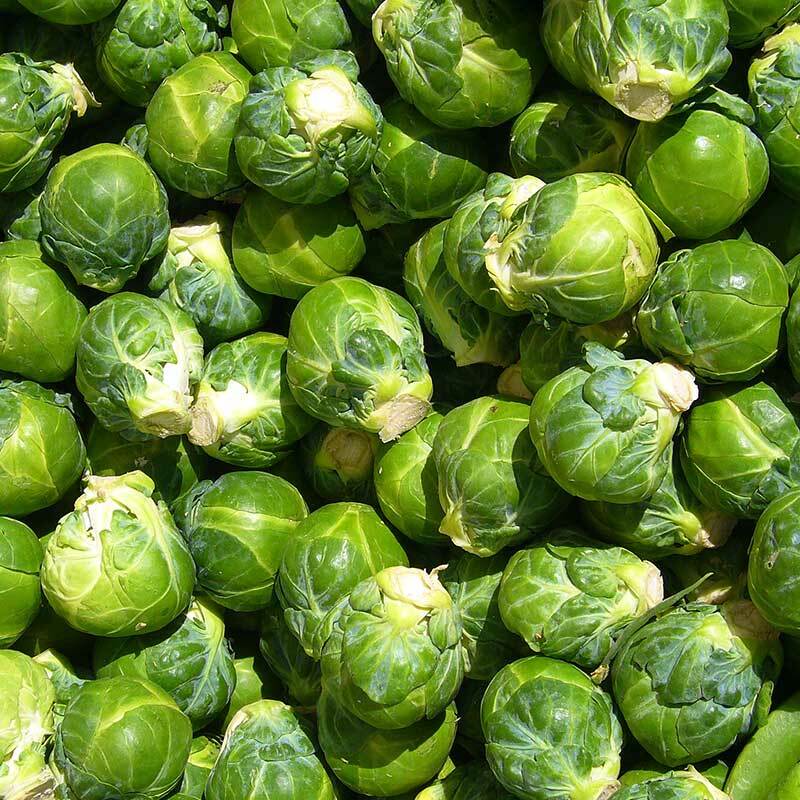 High yields of deep green, flavorful 1" to 1¼" round sprouts on 28" plants. Uniform blue/green head. Tolerant to black rot. 3-4 pounds. 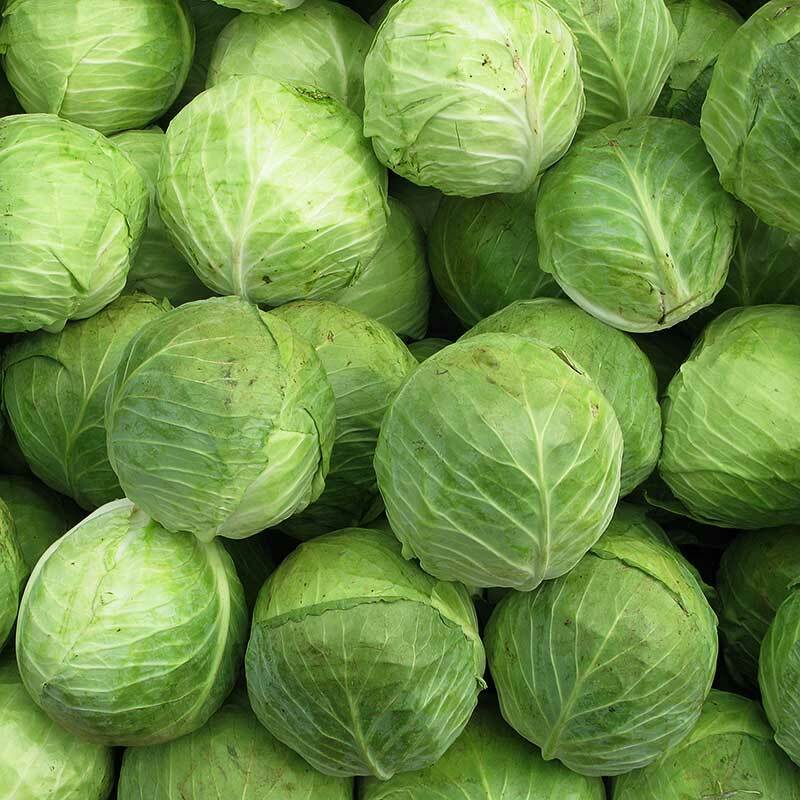 Good, all around green, round head cabbage. Big, semi-flat heads 6x9" and 6 pounds. Stores well. Great tasting early variety that does well in heat. 2½ pounds. Extra uniform very solid round heads. 7”/3½ pounds. All-American small compact head variety (4”). Can be used in containers or as a border. Huge heads 12" across and over 10lbs. Compact 2-3 lbs. Ideal for tight spaces. Dark Red Round heads. A low maintenance plant that is normally very easy to grow. 3-6 pounds. Dark, cold tolerant, globe shaped. 4 pounds. Resists bursting. Round, solid heads. 3-4 pounds. Pure White heads well-shaped and fine textured. 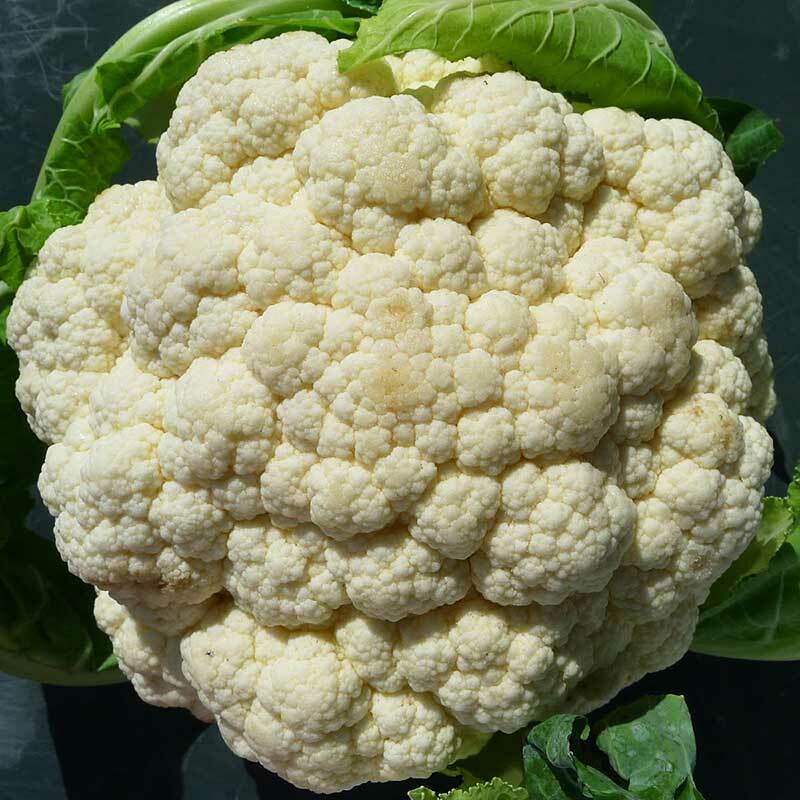 Uniform, white flower heads that are tightly clustered and delicious. Sweet, dark green 9" fruit, manly seedless. Resists Watermelon Mosaic. High, concentrated yields. Needs pollinator. Nice for small gardens or containers. 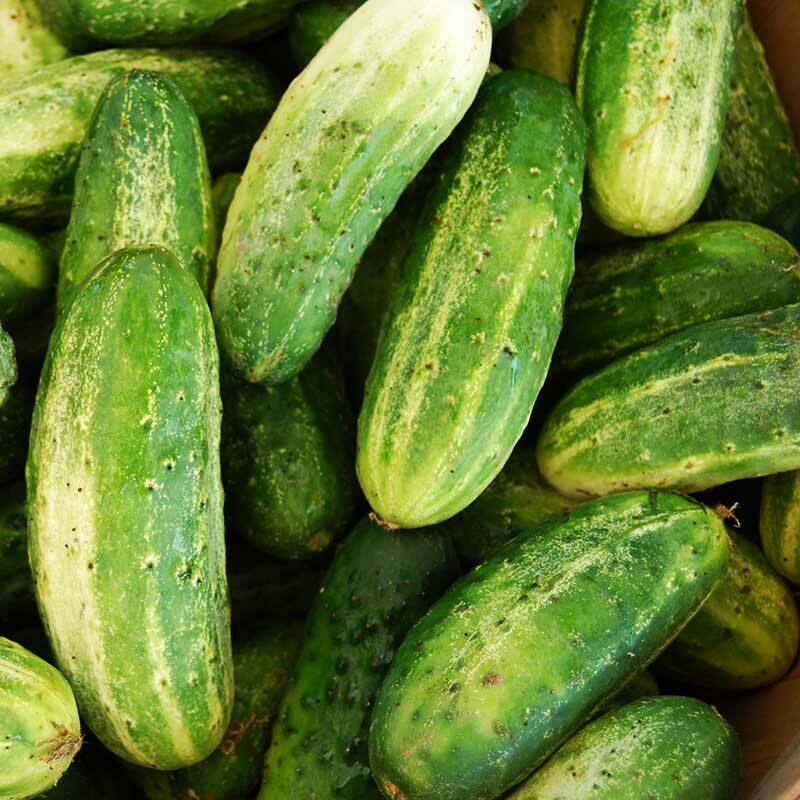 Abundant 6-8" straight cucumbers. Slicer with tender skin. Disease resistant and non-bitter. Pollinator needed. High yields of 4-5" fruits. Compact plant with 9" fruit. Disease resistant. Pollinator not needed. Slicer. Bush-type plant with 5-6" fruits and solid core. Can harvest early for baby sweets. Disease Resistant. Pollinator not needed. 9" disease resistant, non-fading dark fruits. All-American Selection. Early and compact plant. Good for containers. Resists scab. All-American Selection; sweet and crisp. Continuous harvest. Vigorous, productive plants with dark green, cylindrical fruits of 7-8". Oval, dark purple. 28" plants. Purple-rose color with white streaks. 8" long. Oval, mid-sized fruit. Early and nearly seedless. Gourmet flavor. Slim, 6-8" fruit in clusters of 3-6. Easy picking. Very uniform med. sized oval fruit. 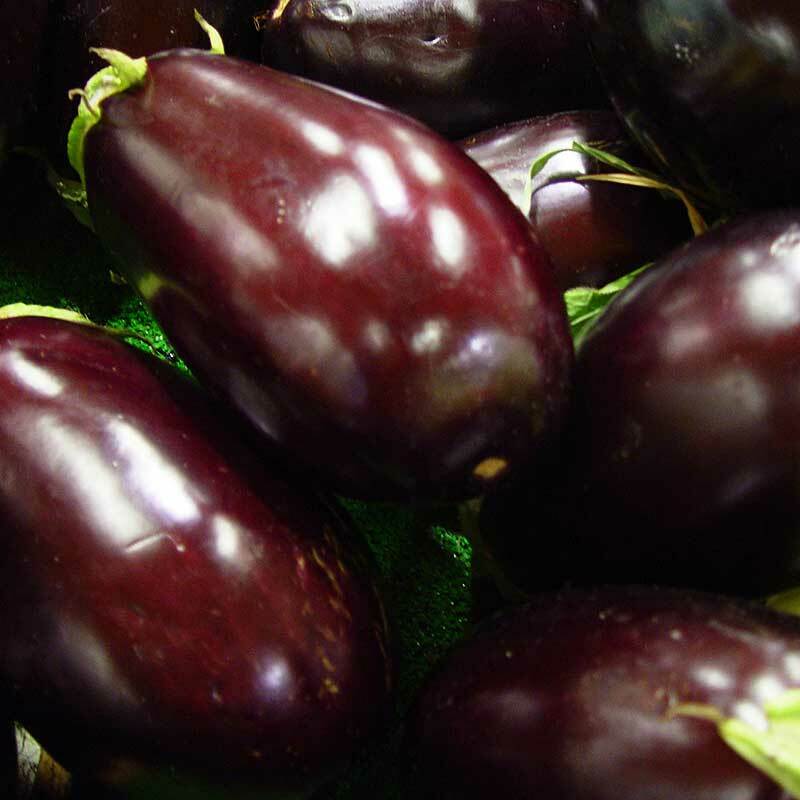 Bushy plants that spread up to 28" and bear 6-8" smooth fruit with flavorful and firm, high-quality flesh. 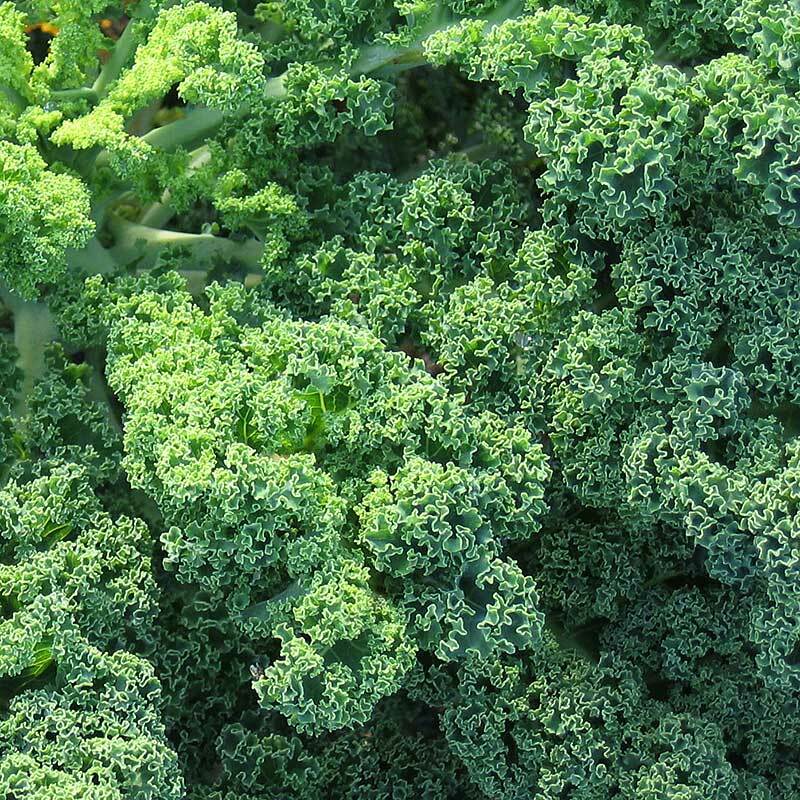 A member of the Cabbage Family kale is a leafy green vegetable. Prizm produces attractive short, tight ruffle-edged leaves that grow well in containers as well as in-ground beds. 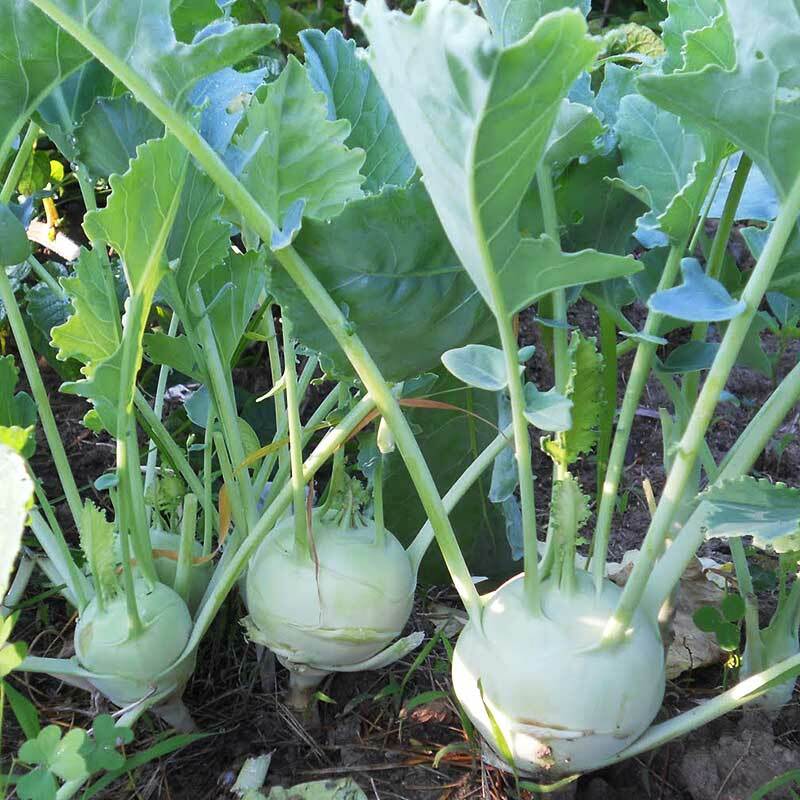 Stalks are quick to re-leaf so harvest early and often for a continual supply throughout the season. A magnicent early spring and late fall kale. Really sweet and juicy after frosts! 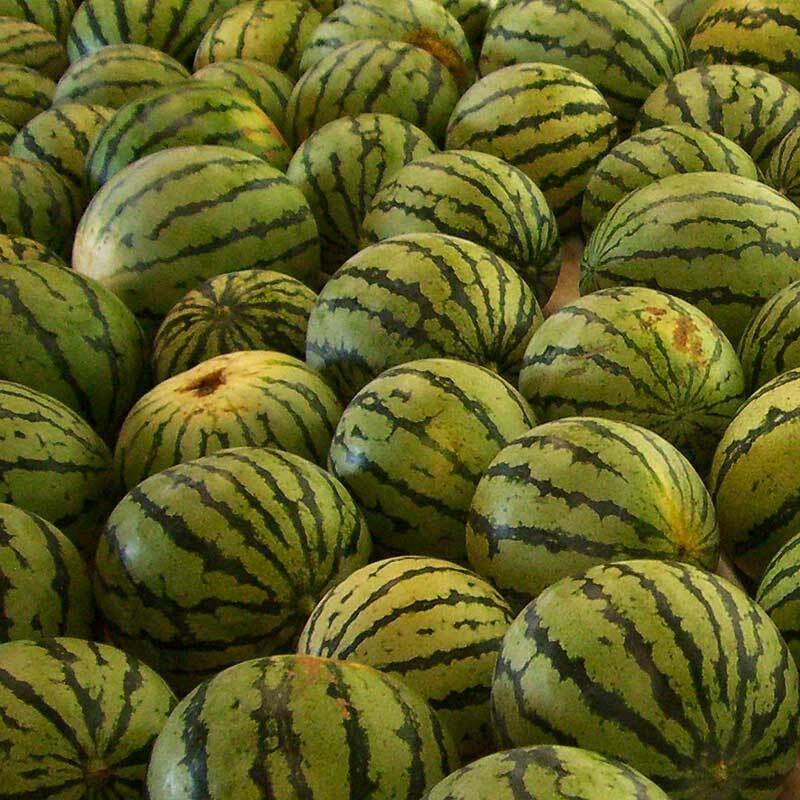 Dark/bright green-striped oval fruit are 10-12". Sweet, crispy, juicy fruit is deep red with few seeds. High yields. 15-25 pounds. Heirloom with 6-8" fruit with dark green skin. Firm sweet red flesh with large seeds. Space-saving, compact vines. 8-10 pound fruit. Takes less room-nice for smaller gardens. Sweet with a thick, smooth-textured orange flesh. Mildew resistance. 4-8 pounds. Very sweet, disease resistant with thick orange 5 pound fruit. High yields of flavorful, orange-fleshed fruit. 3 pounds. Bowling ball size (6-9 pounds) with big flavor. Resistant to Powdery Mildew and Fusarium Wilt. For onion plants we carry the Yellow, White, Red, and Candy varieties. 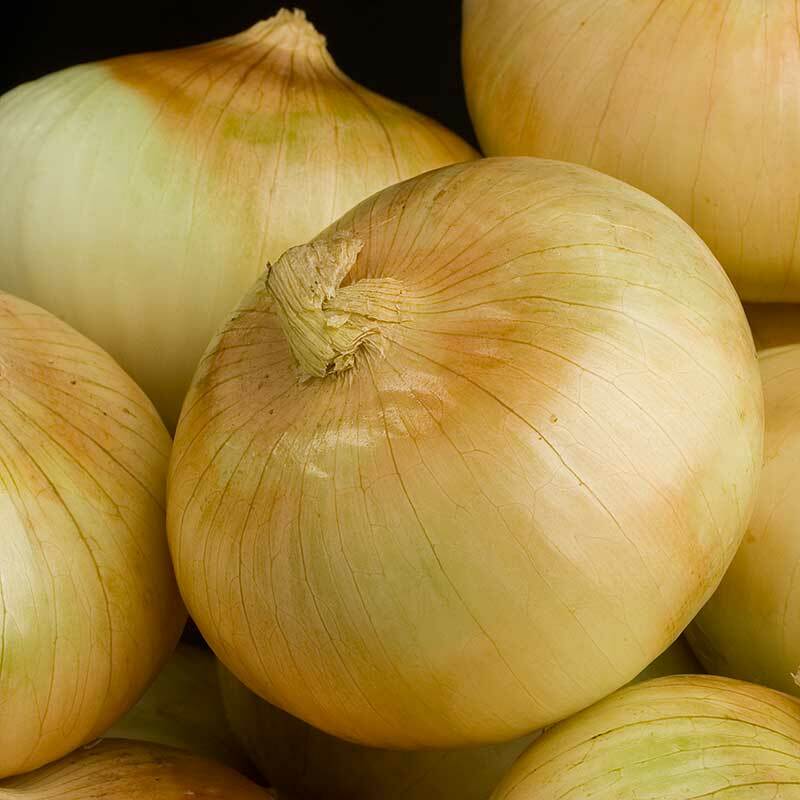 We also have the basic yellow and white varieties of onion bulbs. Leeks and shallots are also available. Produces huge, sweet, mild onions earlier than other varieties. Plant in full sun 4" apart in rows 12" apart. Long storage. Extra large, globe shaped, yellow onion that have very good tolerance to bolting. Very firm and retain skins. 6-8 month storage. A red onion with excellent color and storage. Large globe. Deep orange flesh, good flavor. Averages 10-14 pounds. Nearly round, up to 100 pounds with red-orange skin. 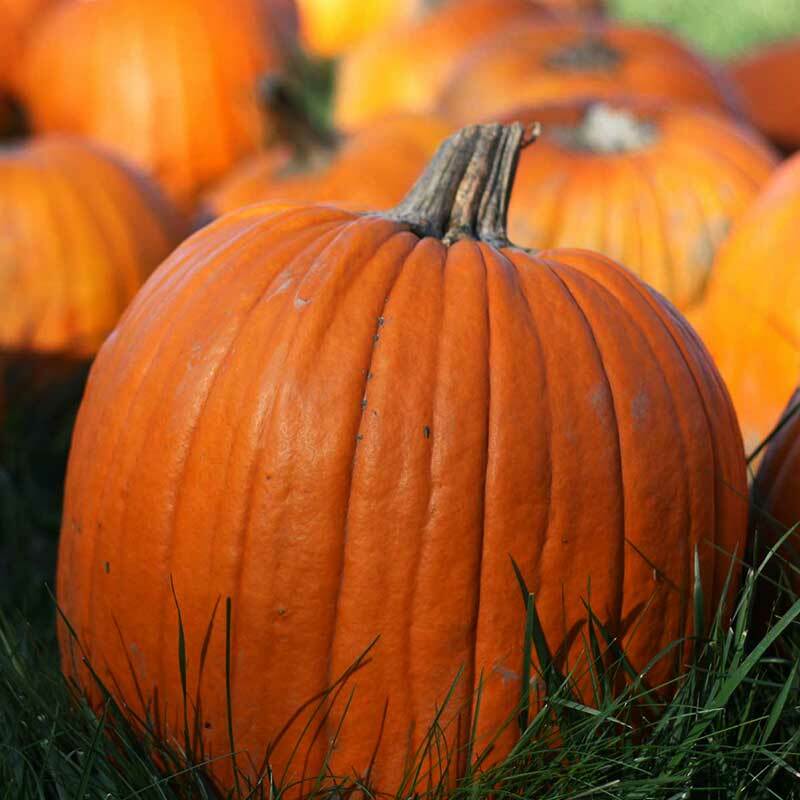 Traditional intensely orange 20-30 pound pumpkins with deep ribs. 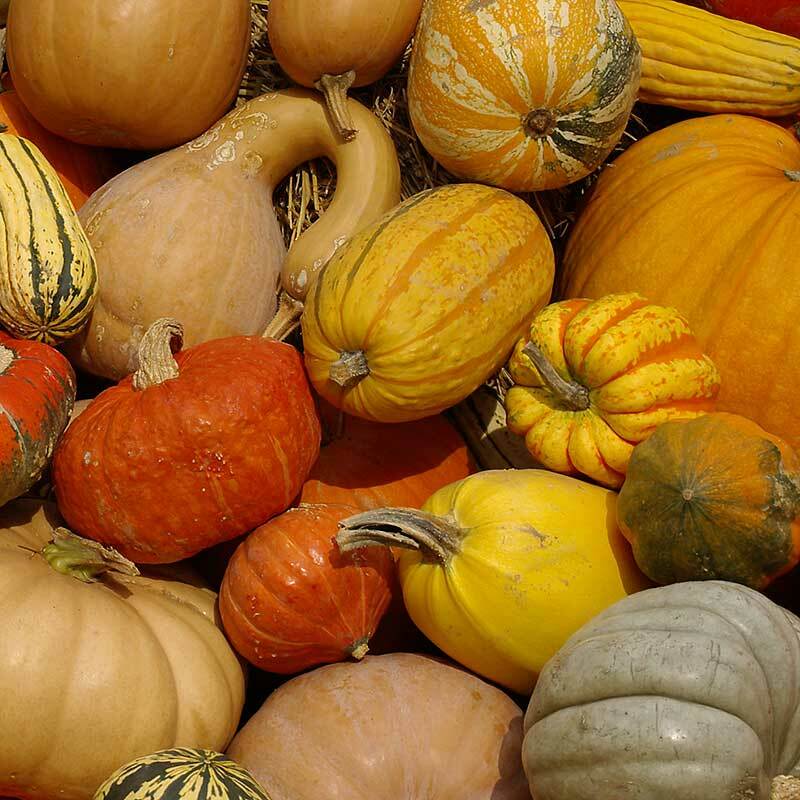 Queen-Acorn squash good for containers. 4' plant. Compact bush. 7½"x6" fruit. Nutty flavor. Stores well. Sweet, single serving-size. 1 pound. Compact, bushy plants High mildew resistance. Semi-bush plants yield large black-green fruit with excellent flavor. 5" fruits. Semi-bush with uniform 7" fruit. 8" tan fruit with deep orange interiors. Wonderful mild flavor with spaghetti-like pulp. Blocky, black-green fruit. Productive, tender 6" fruit. Straight, blocky fruit is bright golden yellow with very crisp and flavorful flesh. 8" fruit. Early (45 days), vigorous, with lots of straight, smooth, mottled fruits with firm, greenish-white flesh. Good color and high yields. The sweet potatoes can be dug in only 90 days. Copper-colored skin, deep orange flesh, and a superb flavor. 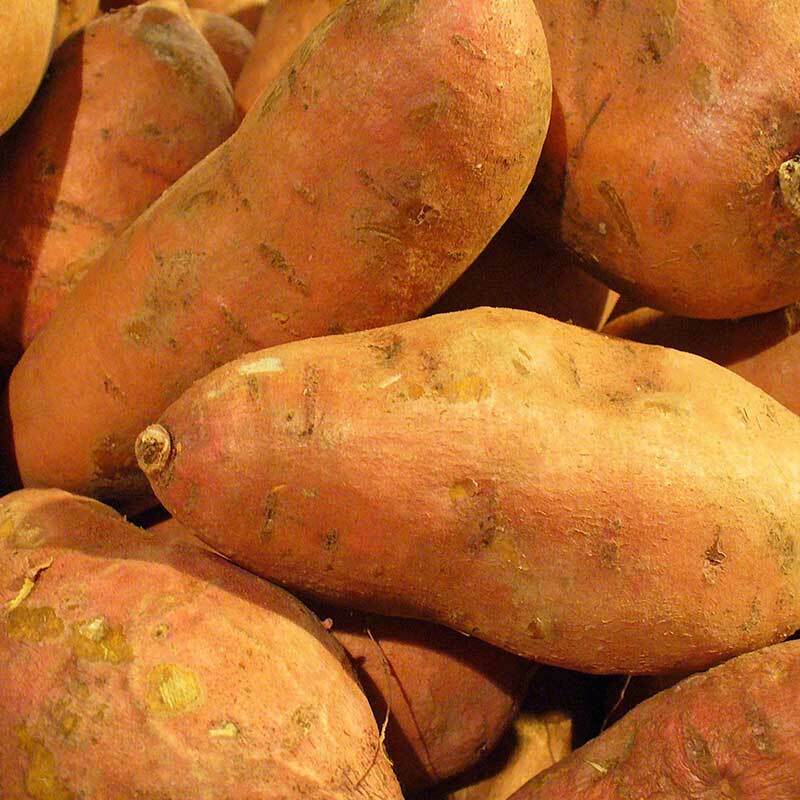 A red-skinned sweet potato with deep orange, moist flesh. Heavy crop in just 90 days. Golden yellow outside skin that darkens after digging. 100 day maturity.